Revolting children! – This is the title of one of the songs and usually my reaction to child actors on stage. Somehow, the RSC has put together a troupe of young performers that blows away all preconceptions of the quality and nature of the beast. They present a quadruple threat: they act, sing, dance AND they’re young. The production survives the transfer from the RSC’s Courtyard and its thrust stage to the Cambridge’s 1930s proscenium with very few changes to the staging. Inevitably some of the immediacy of the experience is reduced because of the fourth wall, but this is still a funny, inventive and, perhaps unexpectedly so, very moving show. Based on a Roald Dahl novel, its themes are beyond those that appear on the surface. Bad parenting is not just neglect and abuse. The opening number brilliantly satirises the kind of middle class breeder who brings their offspring up in the belief that they are a miracle, or a princess, only to give the world a generation of brats whose overinflated view of themselves leads to delinquency. These parents have the gall to blame teachers who accurately report that the child is less than perfect. This is the most pertinent comment the show makes on education. Elsewhere, opposing philosophies are polarised: Miss Trunchbull’s tyranny is contrasted with Miss Honey’s syrupy child-centred approach. But this is not just a show about child-rearing and schooling. There is much to do with rebellion and civil disobedience, the overthrow of a dictator and the power of the imagination. There is plenty that is scathing about the dumbing-down of culture, with television held largely culpable. There is a beautiful song, performed on playground swings that arc out beyond the proscenium, which gives us a child’s-eye view of what it must be like to be an adult. It is poignant and charming and speaks to everyone. With music and lyrics by Tim Minchin, the score has everything a musical should: Melodic songs with clever, witty lyrics that reveal character and develop plot AND speak to us of the human condition. This is art. Bertie Carvel as deranged headmistress Agatha Trunchbull gives a colossal performance. 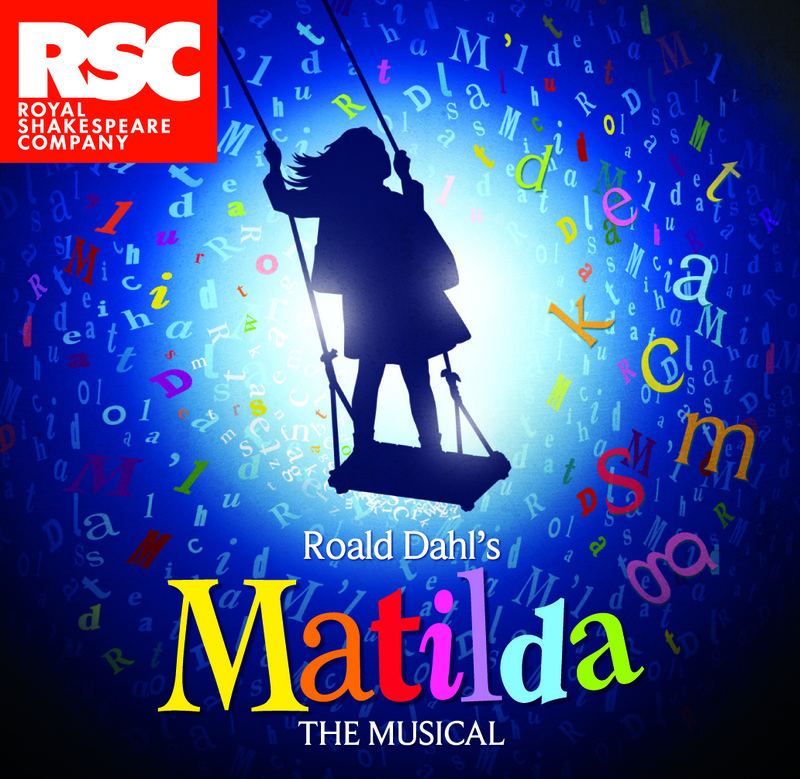 Sinister, monstrous and very funny, he is compelling to watch and almost, but not quite, steals the show from the tiny leading lady, Eleanor Worthington-Cox as the eponymous Matilda who is astounding. It’s difficult to heap the praise on her she deserves without sounding patronising. She, and the rest of the children in the company, need to be seen to be believed and I defy anyone to detect anything stilted or parrot-fashion about them. I really enjoyed Josie Walker and Peter Howe as Matilda’s parents. She is peroxide blonde, mutton dressed as Katie Price and he an oafish, wide boy used car salesman, all mouth and garish trousers. True Dahlian grotesques, their cruelty and selfishness are outrageous, their come-uppance well-deserved. But, as Matilda herself learns, there is more to life than revenge. She rescues her feckless father from a severed drubbing at the hands of the Russian mafia, proving that education indeed has its uses and in a touching moment of forgiveness, teaches him a lesson in humanity. I make special mention of Gary Watson’s hilarious cameo as Matilda’s mother’s dance partner, Rudolpho but really the entire company is a cut above. Rob Howell’s set, all building blocks, bookcases, and school desks that come up from the floor, is evocative and versatile. Director Matthew Warchus makes the stage a playground on which the cast have tons of fun. The final image of Miss Honey and Matilda walking off into the sunset, performing one final cartwheel each is beauty, simple and touching. With its book by Dennis Kelly, Matilda is the best new musical currently in the West End but you may need some of its heroine’s superpowers to get yourself a ticket.